Northern Force is the pinnacle of perfection in terms of power, performance and phenotype. His width, depth, and overall mass is unsurpassed by any bull on the ranch which is reflected in his real world numbers. He is the result of a mating of two of the elite individuals in the Simmental breed. 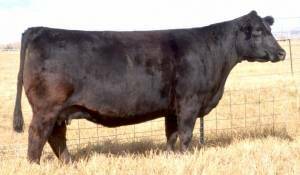 His donor dam is a beautiful long-bodied, deep-sided female with a perfect udder and flawless structure who has proven to be our most productive purchase from Griswolds in terms of dollars and pounds. Her first heifer to sell, Yardley Blitz, was a crowd favorite, selected by Brent White of Iowa for $16,500. 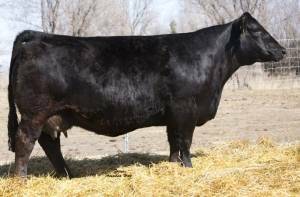 C302’s $25,000 sire, Northern Octane, is out of Kappes’s leading donor female, Kappes Sadie T635. 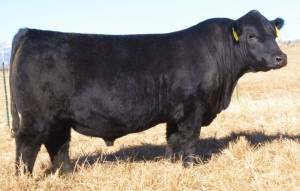 Here is a bull that has all the right parts in all of the right places, and one that is certain to increase weaning weight and improve quality!